I don’t usually read historical novels, but I was eager to read The Edge of the Earth by Christina Schwarz because I have always had a fascination for lighthouses, and the cover of this book drew me to it immediately. The book tells the story of Trudy, a young woman who abandons the life that is expected of her, to marry Oskar, a man who is ambitious and determined to invent something that will bring him fame and fortune. Keen for adventure, Trudy leaves her comfortable life behind to accompany her husband to a remote island off the coast of California where he has taken a job as assistant lighthouse keeper. There, Trudy must learn to adapt to a difficult life on the island, which is home to only one other family, and which feels like living on the edge of the earth. While struggling to maintain a relationship with her increasingly distant husband, her life suddenly becomes more interesting when she discovers something hiding among the rocks, and she sets out to uncover the mystery surrounding the strange presence. I loved the atmospheric setting of the story, and the depiction of life as it would have been for lighthouse keepers at the end of the nineteenth century. A wonderful story with interesting characters and richly detailed writing that draws you along to a climactic ending. 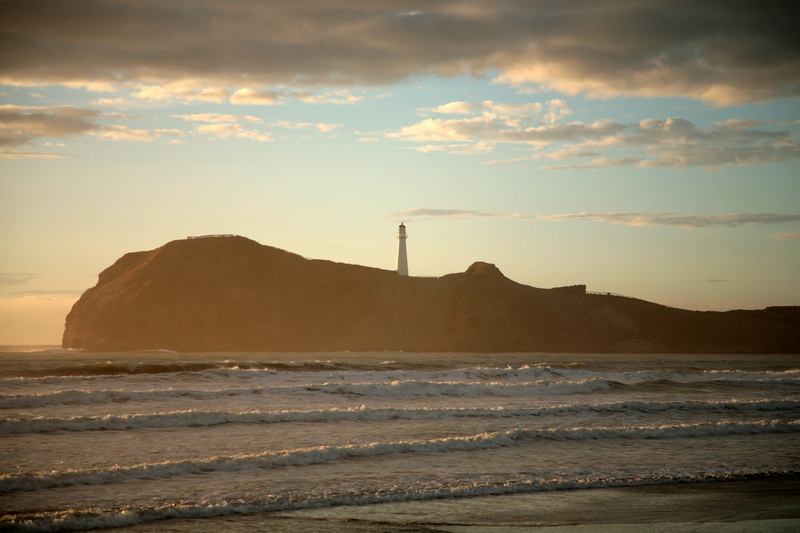 A few years ago Nick and I visited Castle Point Lighthouse on the Wairarapa Coast of New Zealand. Although we weren’t able to go inside, it was a wonderful experience to walk up to it and explore around it. 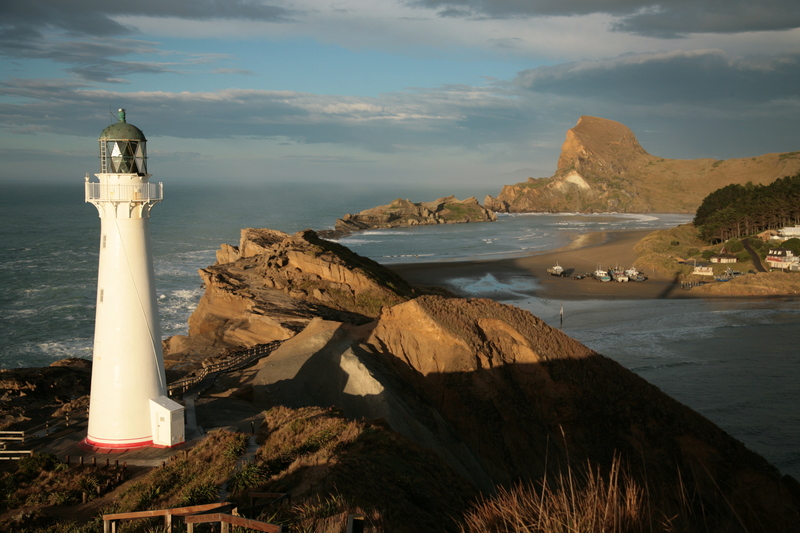 The lighthouse was built in 1913 and was one of the last attended lighthouses to be built in New Zealand. 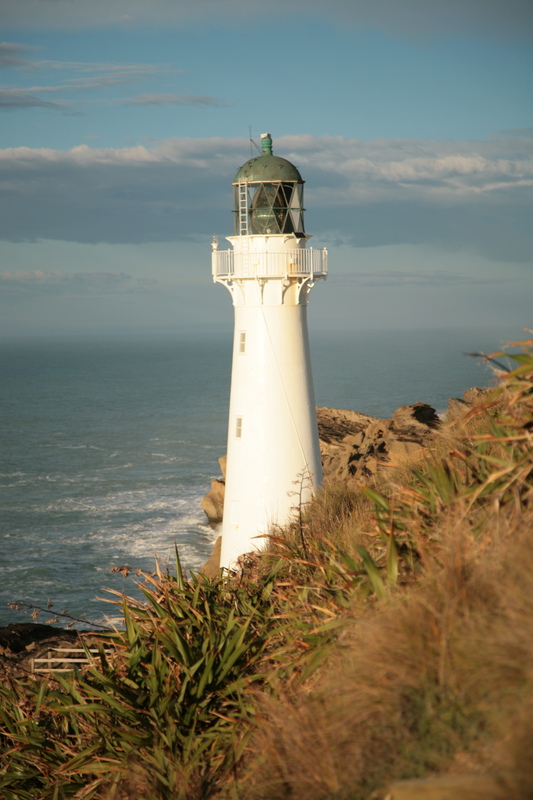 It became fully automated in 1988 and the lighthouse keeper was withdrawn. Although we set off to drive there early in the morning, unfortunately we got there too late to see the light shining. 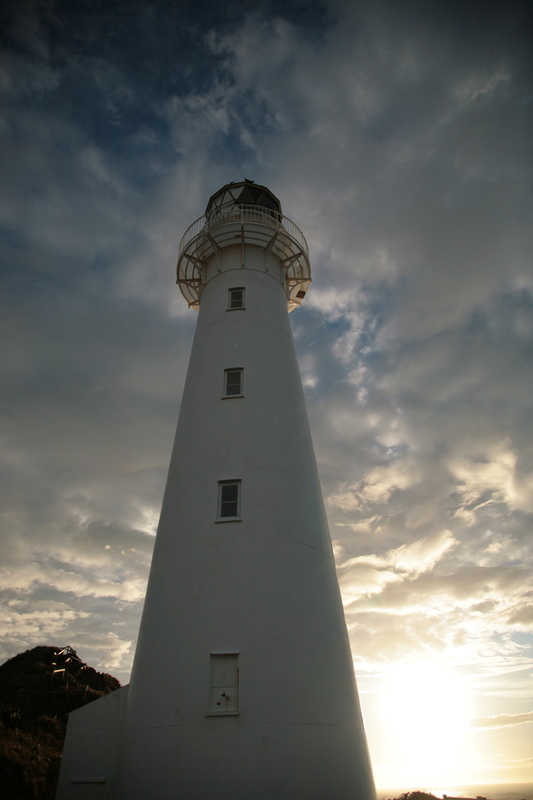 These are some photos that Nick took of the lighthouse. 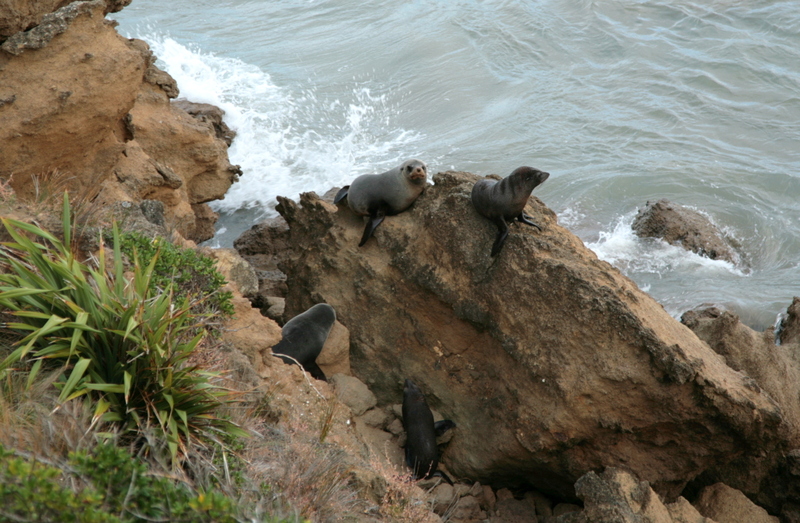 We saw many fur seals basking on the rocks surrounding the lighthouse. One day I hope to return and see the light shining.